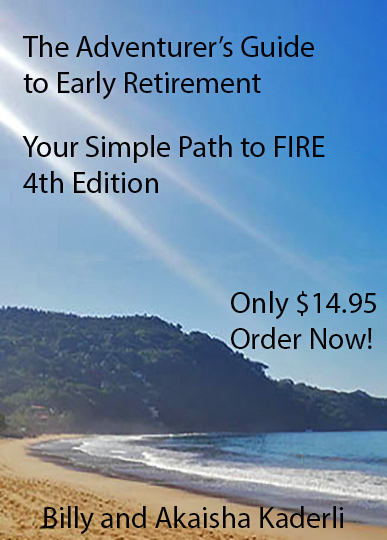 The Adventurer’s Guide to Early Retirement 4th Edition, Your Simple Path to FIRE. How much do I need to retire? This is a great question, but do you know how much you are spending today, in a month or a year? We offer easy-to-use calculations to learn how much YOU need to retire. How to Retire Early is a focus of our book. We retired at the age of 38 in 1991, and have a higher net worth now than when we started, even after all of our spending and inflation. This is achievable and you can do it. When can I retire? Again, we address this and other facets of retirement you must weigh before you leave your job. Consider this - How about if you had the assets to retire but continued working knowing that at any point you could pull the plug and take your life in a different direction? That is a very powerful, freeing position to be in. What is the retirement age? Once you have the invested assets to create the income you need to live your lifestyle, then you are eligible to FIRE. You are in control of your life and your finances and can leave your job whenever you want. That equals Freedom, right? How much to save for retirement? We say save as much as you can, then save some more. Time is on Your Side is a theme in our book. Complete Table of Contents here. How to save for retirement? In our book we educate you about the 4 categories of highest spending in any household, and if you modify any of these categories, you will "find extra money" to place towards your retirement. We encourage you to track your spending, manage your cost per day, and we give you calculators and spreadsheets to figure this out, making saving for FIRE easy. How to Retire by 50? The earlier you start, the more achievable this is. Get your money invested and have compounding interest work in your favor. You must know how much money you spend today to know how much you will need after you leave your job. How to retire? Create a portfolio that can finance the lifestyle you want. We tell you how. But it's not just numbers. We help you with the emotional component of retirement also. Most FIRE books don't cover this topic. What is the full retirement age for Social Security? This is a moving target depending on your date of birth. But for most people it is around 66 years of age. 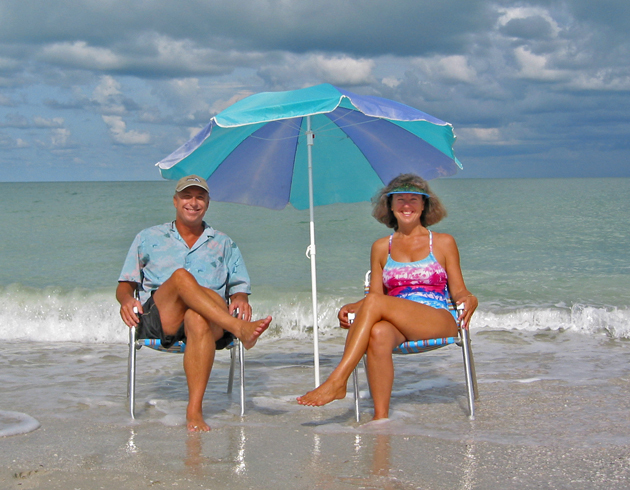 We took Social Security at 62 and in The Guide we show how it can best work for you. Where to retire? That depends on what you enjoy. Do you want a beach life? Four seasons with changing weather? Mountain hiking or biking? Skiing? or a Nomadic lifestyle where the weather suits your clothes? We present you with a series of questions for you to narrow down your search and save you months of research time. We also present chapters for you to tweak your retirement to make it gratifying such as - The Future Impact of Your Retirement – Building Meaning within Your Financially Independent Lifestyle - Financial Independence: Going from Satisfaction to Satisfaction - The Greatest Lessons We Have Learned in our three decades of retirement. - When to begin - What if you start later in life?- Our Investment Style; Answering the Critics, Most of Whom Are Still Working - The 4% Rule - What is it? How do I use it? Does it work?...and So. Much. More.